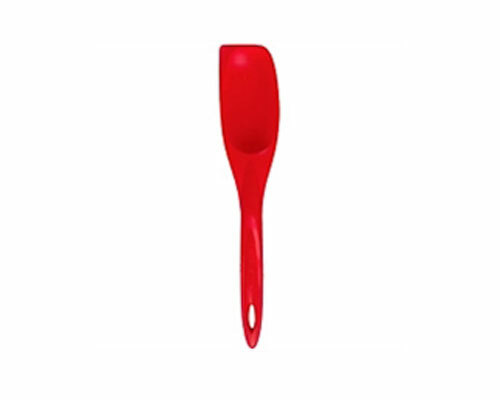 The iSi Spoon Spatula (Red) features a spring-steel core and a red-silicone outer shell. The steel core provides some flex and the silicone shell is heat resistant up to 600 °F (315 °C). The silicone also makes this spoon/ spatula hygienic and is dishwasher safe.